Pictured above: A model of the satellite in the 3 Revolutionas exhibition in Pyongyang. On 1998-8-31 the DPRK tested its first long-range rocket. As had been done in other countries before, the test was made to appear as an attempted satellite launch. Below are key articles from KCNA at the time and additional information. More information can be found at the Wikipedia page. The daily says: The successful launch of the first artificial satellite “Kwangmyongsong No.1” in Korea demonstrated the inexhaustible potentials of Juche Korea. It is a significant event that set up a new milestone in the building of a strong and prosperous socialist country. It is an all-round crystal of the strength of the DPRK, independent in politics, self-sufficient in the economy and self-reliant in national defence, and the highest peak of Juche-based science and technology. The recent auspicious event is a solemn gunreport of the building of a strong and prosperous country. The launch, a historic event, gives the confidence in the final victory and optimism to the Korean people on an arduous socialist forced march. It is of weighty importance in exploring new areas of our science and technology. The launch makes it possible to lay solid foundations for the launch of practical satellites. It is thanks to the guidance of Kim Jong Il that a huge army of competent scientists and technicians and a reliable scientific research have been built and proud successes of science and technology have been gained. The recently-launched carrier rocket and artificial satellite have been developed by our wisdom, technology and local materials 100 percent. The recent launch proves that no doubt, our science and technology are on the level of those of advanced countries–it fully demonstrates the advantages of socialism over capitalism. We will go in advance of imperialism in science and technology and win victory of Korean socialism. Pyongyang, September 8 (KCNA) — The first artificial satellite of the DPRK launched at Musudan-ri, Hwadae county, North Hamgyong Province, on August 31 is now revolving round the earth. The multi-stage carrier rocket and satellite launched by Korean scientists and technicians were developed with local strength, wisdom and technology 100 percent. Today’s edition of Rodong Sinmun carries an interview with scientists and technicians involved in the satellite launch and a sketch map of the carrier rocket launching test. The first and second rocket stages are made up of liquid rocket engines and the third stage an engine with highly efficient solid fuel. The control mechanism of the rocket is a product of advanced science and technology, including computers. The first stage was separated from the rocket 95 seconds after the launch and fell on the open waters of the East Sea of Korea 253 km off the launching station, that is 40 degrees 51 minutes north latitude 132 degrees 40 minutes east longitude. The second stage opened the capsule in 144 seconds, separated itself from the rocket in 266 seconds and fell on the open waters of the Pacific 1,646 km off from the launching station, that is 40 degrees 13 minutes north latitude 149 degrees 07 minutes east longitude. The third stage put the satellite into orbit 27 seconds after the separation of the second stage. The purpose and mission of the rocket were accomplished at the first launch. This demonstrates the might of science and technology of Juche and proves the high level of the technology of development and manufacture of the carrier rocket. General Secretary Kim Jong Il sent thanks to the scientists, technicians and workers who contributed to the successful launch of the satellite. Pyongyang, September 8 (KCNA) — Rodong Sinmun today carries its reporter’s interview with scientists about the process of the development of an artificial satellite and its prospect together with a sketch map showing the satellite carrier rocket launching test. Academician, Prof. and Dr. Kwon Tong Hwa, Kim Il Sung order winner, labour hero and deputy to the Supreme People’s Assembly, who was involved in the launch said that the DPRK has long since developed the science and technology of artificial satellites and laid its solid industrial foundation, not boasting of it. He explained the background of the launch of the satellite: Under the wise guidance of General Secretary Kim Jong Il, the DPRK has developed a multi-stage rocket capable of carrying an artificial satellite already in the 1980s and made remarkable successes in researches into satellites as well. When he was alive, the President Kim Il Sung said that it was high time for the DPRK to launch an artificial satellite. All preparations for the launch had been completed in Korea already at the beginning of the 1990s. As instructed by Kim Jong Il, the first artificial satellite was launched to significantly adorn the first session of the 10th Supreme People’s Assembly and the 50th anniversary of the founding of the DPRK. This was a historic event which made the Korean people and the world know about the might of the local industry and science and technology of satellites the DPRK has independently developed without boasting of it. Candidate academician, Prof. and Dr. Han Hae Chol, Kim Haeng Gyong and other scientists, who were involved in the launch of the artificial satellite “Kwangmyongsong No. 1,” referred to the purpose of the launch: First, it is to master the technology of putting a satellite correctly into orbit with a multi-stage carrier rocket. Second, it is to perfect the structural engineering design of a multi-stage carrier rocket and its control technology. Third, it is to study the circumstances of the space and verify if electronic devices correctly operate in the space. Fourth, it is to complete the observation system of the carrier rocket and satellite. For this purpose, necessary observation devices were installed at the carrier rocket and satellite. With the successful launch of the satellite, necessary tests were made in the space and a solid foundation was laid to launch a practical satellite. It also provided a turning-point for establishing satellite observation and telecommunications systems in the DPRK. The scientists chose the sky above Tsugaru strait between Hokkaido and Honshu, Japan, as the trajectory of the recent artificial satellite launch. The carrier rocket was equipped with a device with which to lead the rocket to a safe area and explode it in case the flying rocket is deviated from the expected trajectory. Through the recent success the scientists are convinced of the reliability of the carrier rocket before anything else. The success demonstrated the perfect efficiency of the multistage carrier rocket. A scientist Kim Haeng Gyong who had participated in the launch said the carrier rocket correctly flied along the theoretically expected trajectory and that all the apparatuses of the artificial satellite are working properly after it was put into orbit. Scientists said scientific foundations were laid for the immediate launch of practical satellites and the development and use of telecommunications satellites have been made possible. The artificial satellite moving along its own orbit sends them survey data, including temperature, pressure and conditions of power source, they said. The sketch map of the test launch of the carrier rocket of the artificial satellite shows where the carrier rocket was separated stage by stage and where the separated parts of the rocket dropped. It shows that the first stage was separated from the rocket 95 seconds after the launch, in the air 35.9 kilometres high and 19.5 kilometres off the launching station, that the second stage separated itself from the rocket in 266 seconds, in the air 204 kilometres high and 450.5 kilometres off the launching station and that the artificial satellite was put into orbit in 293 seconds, at the speed of 8,980 metres per second, in the air 239.2 kilometres high and 587.9 kilometres off the launching station. It also shows that the first stage separated from the rocket fell 253 kilometres off the launching station, that is 40 degrees 51 minutes north latitude 132 degrees 40 minutes east longitude and that the second stage fell 1,646 kilometres off the launching station, that is 40 degrees 13 minutes north latitude 149 degrees 07 minutes east longitude. Pyongyang, September 8 (KCNA) — The great leader Kim Jong Il, General Secretary of the Workers’ Party of Korea and Chairman of the DPRK National Defence Commission, sent a message of thanks to scientists, technicians and workers who had contributed to the successful launch of the artificial satellite “Kwangmyongsong No.1”. In the message Kim Jong Il says it is a brilliant victory of the WPK’s policy of attaching importance to science and technology that they correctly put into orbit at one launch the artificial satellite which requires the latest know-how. It is also a proud fruition of the wise leadership of the WPK that has energetically guided the work of training technical personnel of the nation and developing the nation’s science and technology, he adds. The message says: The carrier rocket and artificial satellite successfully developed, manufactured and launched by our scientists, technicians and workers, clearly demonstrated the potentials of the independent national economy which our people have cemented with all efforts for scores of years. And they proved once again that self-reliance is the only way for our victorious progress. The successful launch of the satellite gives the Korean p0ople high pride and confidence in that it came amid grim trials caused by the imperialists’ hostile activities, the message says. The successful development and launch of the artificial satellite in the DPRK is a great contribution to preserving world peace and enriching the treasure-house of science and technology of humanity, the message says, adding that the scientific activities of the DPRK for peaceful use of the outer space enjoy sympathy and support from progressive people. It urges the scientists and technicians to bring about a new advance in the development of science and technology through devoted efforts, conscious of their great honor and dignity as scientists and technicians of Juche Korea. The scientists and technicians must uphold the socialist motherland with science and technology and creditably discharge their mission and duty in building a powerful state of Juche in Korea, the message emphasizes. Pyongyang, September 12 (KCNA) — The spokesman for the Korean Democratic Lawyers Association today released a statement denouncing the Japanese politicians for recently making utterances against international law and usage, wantonly violating the sovereignty and dignity of the DPRK over the DPRK’s launching of an artificial satellite. The statement says: In the wake of the DPRK’s launching of the first artificial satellite “Kwangmyongsong No.1” politicians of Japan persistently claimed that it was a “missile.” when the successful launching was made clear, they are taking issue with the DPRK, irrespective of international usage and common sense, saying that a missile or an artificial satellite are intolerable because they have a military danger. There can be large, small, developed and developing countries in the world. There is no reason why only a few particular countries can launch artificial satellites in an effort to use the space for peaceful purposes. Japanese politicians ignorant of this internationally-recognised common sense still slander the DPRK. The slander cannot be construed otherwise than an act of betraying their ignorance. Even after the news of the DPRK’s launching of the artificial satellite was reported, they are claiming that it is a “missile.” judging from this, their insistence is not a product of their ignorance of international usage and common sense, but they seek in this to attain a political aim. 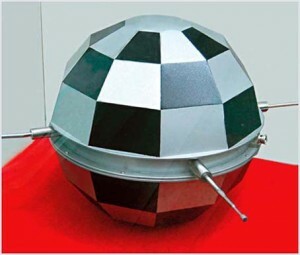 Japan began the development of artificial satellites from the 1960s. It has launched scores of artificial satellites up to this date from 1975. On September 7 this year it launched a rocket under the pretext of exploring an ozone layer. Worse still, a large number of mass destruction weapons of other countries are deployed in and around the territory of Japan. Japanese politicians are claiming that their own missiles, artificial satellites and mass destruction weapons of other countries have no danger, but our own artificial satellite poses threat to peace and security, and so they cannot tolerate it. Their claim is a brigandish sophism that cannot go down with anyone under the present international order the keynote of which is independence and equality. If they are interested in peace and security in northeast Asia, they must first repent of their stepped-up building of Japan into a military power and apologize to the DPRK for slandering it. If Japan continues acting rashly irrespective of international usage and its own lot, it will meet bitterer condemnation and curses from international community. The Korean democratic lawyers association scathingly condemns Japanese politicians for making utterances wantonly violating the sovereignty and dignity of the DPRK, as well as international law and usage, over the DPRK’s launching of artificial satellite, and presents their misbehaviour to the international community. Japan must be aware of its own lot and act with discretion. Pyongyang, September 14 (KCNA) — The artificial satellite “Kwangmyongsong no.1” which had been launched in Korea at 12:07 on August 31 made 100 rounds of the earth between 08:24 and 11:17 on September 13. In the 100th period the satellite passed the DPRK in the air 220 kilometres high via the sky above the northern part of Hawaii, Chile, Argentina and other South American countries, the Atlantic ocean, Namibia, Angola, Democratic Congo, Ethiopia, Pakistan and China. The first artificial satellite of the DPRK successfully made 100 rounds of the earth, demonstrating the potentials of the DPRK which is accelerating the development of the space, an area of ultra-modern science of humankind, in reliance upon national strength and advanced science and technology. The artificial satellite is expected to be seen with the naked eye when it is passing the DPRK in early October. Pyongyang, September 19 (KCNA) — The successful launch of the first artificial satellite “Kwangmyongsong No. 1” in Korea caused a great sensation in the international community. The Minister of State for Mission in the Presidency of Equatorial Guinea said that he keenly felt again the wise guidance of General Secretary Kim Jong Il through the DPRK’s successful launch of the satellite which was made with its own technique. The advisor to the Indonesian President for the non-aligned movement said that Korea’s launch of the first satellite is the fruit of the wise guidance of General Secretary Kim Jong Il. The head of the scientific section of the International Scientific and Technical Information Centre of Russia said that Kim Jong Il has attached importance to science and techniques even under the difficulties and made sure that the satellite was successfully launched. The vice-chairman of the council of the union of communist parties-the Communist Party of the Soviet Union said that the satellite launch of the DPRK is an expression of Kim Jong Il’s boldness and it fully demonstrates Korea’s successes in economy, science and technique. The deputy speaker of State Duma of Russia had this to say: “Korea, not a big country, launched an artificial satellite with its own strength and technique. This is a great event beyond imagination.” The vice-Minister of Finance of Tanzania and the general director of Asian affairs of the secretariat for foreign liaison and international cooperation of Libya said that the successful launch of the satellite in Korea is a demonstration of its national defence power, economic potentials and science and techinque. The general secretary of the centre of the Cuban workers noted: “Korea’s successful launch of the satellite into orbit shows that it has military technique capable of annihilating enemies wherever they are on the earth.” The vice-President of the Parliament of Malaysia and the vice-Minister of Foreign Affairs of Iran said that Korea’s successful launch of a satellite is a pride of Asia. The chairman of “Working Russia” movement said that Korea’s launch of the first satellite, which was made with its own strength and technique 100 percent, is a great victory of socialism. Pyongyang, September 27 (KCNA) — The Central Military Commission of the Workers’ Party of Korea and the National Defense Commission of the DPRK gave a grand banquet in Pyongyang on Saturday in honour of the scientists, technicians and workers who had contributed to successfully launching the first artificial satellite “Kwangmyongsong No. 1.” Jo Myong Rok, first vice-chairman of the National Defense Commission of the DPRK and director of the General Political Department of the Korean People’s Army, in a speech said that he, authorized by the respected Supreme Commander Kim Jong Il, General Secretary of the Workers’ Party of Korea and Chairman of the National Defense Commission of the DPRK, extends warm congratulations to the entire scientists, technicians and workers who had successfully launched the first artificial satellite into orbit. The successful launching of the satellite by our own wisdom, technology, efforts and materials 100 percent is a signal event which demonstrated to the world the national power of Juche Korea and heralded a strong country, he said, and went on: The historic event to be recorded in the history of the nation gave great confidence and courage to the Korean people and officers and men of the People’s Army in their forced march to overcome difficulties for the final victory and sent the imperialists and reactionaries trying to stifle the DPRK with uneasiness and fear. With the launch of the first satellite Korea has ranked among the advanced countries in space development and is proud of its might in politics, military affairs and science and technology. The scientists, technicians and workers, bearing in mind the national pride and honour of having General Secretary Kim Jong Il at the head of the Workers’ Party of Korea and the revolution, should absolutely worship and uphold him in one mind in any adversity and defend the headquarters of the revolution headed by him at the cost of their lives. At the banquet scientists and technicians hardened their determination to lay firmer foundations of the independent national economy and make a new signal success in satellite development. The banquet participants enjoyed an art performance. Pyongyang, September 28 (KCNA) — The first man-made satellite of Korea is now orbiting the globe. It is called “Kwangmyongsong No.1” in Korea. “Kwangmyongsong” means a lodestar, and it is symbolic of the greatness of General Secretary Kim Jong Il. In the 1940s, anti-Japanese revolutionary fighters of Korea highly praised the birth of Kim Jong Il, saying that a lodestar rose on Mt. Paektu to lead Korea. “Oh Korea, a lodestar was born on Mt. Paektu”, “Koreans, a lodestar that will carry forward the idea of commander Kim Il Sung has risen above Mt. Paektu”, “Future of Korea with a lodestar above Mt. Paektu is bright” and “the lodestar above Mt. Paektu shines all over Korea”–these slogans written by the fighters on trees are still preserved. The President Kim Il Sung personally authored an “Ode to the lodestar” on the occasion of the 50th birthday of Kim Jong Il in February Juche 81 (1992). The President in the ode praised Kim Jong Il as the lodestar of mankind respected by all people for his exploits for the fatherland and mankind. The naming of the first satellite as “Kwangmyongsong No. 1” reflects deep reverence of the Korean people for Kim Jong Il, who is glorifying the socialism of Korea. Pyongyang, September 29 (KCNA) — Political figures of different countries in Asia highly estimated the successful launch of “Kwangmyongsong No. 1,” the first artificial satellite of the DPRK. A deputy Prime Minister of Laos, the Foreign Minister of Indonesia, the Minister of Finance of Pakistan and other political figures of different countries said that the satellite launch in the DPRK is a “miraculous event” which gives great pride, conviction and encouragement to the third world countries, the Asian people in particular. The DPRK successfully launched the satellite, an all-embracing unit of the latest techniques, with its own technology and efforts, they noted. This is unthinkable apart from the wise leadership of General Secretary Kim Jong Il and it is a great fruition of the line of independence, self-sustenance and self-reliance in defence. A deputy speaker of the Parliament of Malaysia, an executive secretary of the parliamentary group of the Asean and officials of foreign ministries of Iran and Viet Nam said that the DPRK launched the satellite at one try, striking the world with admiration, when Asian countries are in the grip of economic crisis. They praised Kim Jong Il as the sun and the leader who will lead the 21st century. Pyongyang, October 1 (KCNA) — “Kwangmyongsong No. 1,” the artificial earth satellite launched by the DPRK at 12:07 August 31, can be seen by the naked eye early this month. A competent organ said that the satellite moving from the west to the cast can be seen in different parts of Korea between 04:50 and 05:30 (local time) on Oct. 3 and 4. Pyongyang, December 1 (KCNA) — A ceremony for awarding state commendations, gifts and state academic degrees and titles to scientists, technicians, workers and officials who contributed to successfully launching “Kwangmyongsong No. 1”, the first artificial satellite in Korea, took place at the April 25 House of Culture in Pyongyang Monday. Attending the ceremony were President of the presidium of the Supreme People’s Assembly of the DPRK Kim Yong Nam and officials concerned. 8 people were awarded the title of labour hero of the DPRK, two persons the Kim Il Sung Order and five people the Kim Il Sung Youth Honour Prize while other scientists, technicians and workers received titles of people’s and merited scientist, the title of merited machine builder, orders and medals. 24 people were presented with watches bearing the august name of the President Kim Il Sung and 24 others were awarded citations of Kim Jong Il, General Secretary of the Workers’ Party of Korea. Gifts sent by General Secretary Kim Jong Il were handed to the participants. And titles and degrees of candidate academician, professor, doctor, associate professor and master were awarded to 97 scientists. Speakers at the ceremony evinced the determination to actively contribute to registering eye-catching successes in developing satellites by creditably preparing themselves to be competent scientists with uptodate scientific and technological knowledge. Pyongyang, December 8 (KCNA) — 100 days have passed since Korea’s first artificial satellite “Kwangmyongsong No. 1” blasted off into the space. During the days, the satellite has made some 770 rounds of the earth and moved along its normal orbit on set time each day. The satellite technicians have paid particular attention to observing its orbiting since it blasted off. At around 15 hours of local time on August 31 this year the satellite made its first round of the earth, passing through the sky above the south sea of Korea. At 10:54 on September 2 it made 15 rounds of the earth, passing through the sky above the central part of Korea. At the dawn of October 3 and 4 it went to east from west above Korea. Scientists at the satellite observatory say that through the 100-day observation they could be convinced of the scientific accuracy of the satellite which was launched by the DPRK’s technology and efforts 100 percent. Pyongyang, December 9 (KCNA) — 100 days have passed since the DPRK’s first artificial satellite “Kwangmyongsong No. 1” was placed into orbit. During the period, the satellite has made over 770 orbits of the earth demonstrating the might of the country. “Kwangmyongsong No. 1,” which has a special position in the world’s history of the development of artificial satellites, shows that the DPRK has reached ultra-modern technological level in the domain of the space development. The qualitative level of all devices, elements and materials of the satellite as well as the already-developed multi-stage carrier rocket are very high. Space experts of the world highly estimate the DPRK for successfully solving difficult scientific and technical problems such as development of super heat-resisting material, control of satellite’s position and peculiar stage separating method. The launching site built by Korean scientists and technicians themselves attracts attention from the world because it costs a large amount of fund. The observation of the satellite is being made on a scientific basis. It is helpful toward accelerating the space study for peaceful purposes. Technical problems of manufacturing and controling the multi-stage carrier rocket and separating its engines have already been solved satisfactorily. And complex and difficult technical problems of placing a satellite into orbit and issues of making communications with the satellite, accurately operating electronic devices in the space and establishing a perfect system of observing the satellite in the earth have been solved. Some time ago, scientists, technicians, workers and officials who contributed to the launch of the satellite were awarded state commendations, gifts and state academic degrees and titles. You are currently browsing the archives for the Paektusan 1 category.